Gabriel Boudier Saffron Gin is a popular Craft Gin available from 31dover.com in 70cl to buy online. Visit 31dover.com for the best price for 70cl of Gabriel Boudier Saffron Gin or compare prices on our other Craft Gin products. French colonial recipe of eight natural botanicals rediscovered by France's leading micro-distiller Gabriel Boudier of Dijon. Gabriel Boudier is a leading micro-distiller in Dijon France with a reputation for fine spirits since 1874. 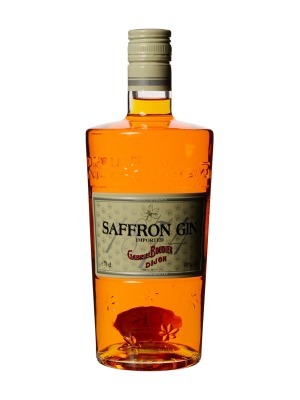 Saffron Gin is a unique recipe discovered in the archives of France's colonial past when England and France both claimed India as their jewel and gin rich in exotic botanicals was the fashion. This handcrafted, small batch pot distilled gin is made from the finest natural botanicals, in addition to the Saffron which gives a delicately spicy character, the recipe has Juniper, Coriander, Lemon, Orange Peel, Angelica Seeds, Iris and fennel, creating one of the most complex and memorable gins distilled today. Enjoy Saffron Gin on the rocks or with Tonic. Where to buy Gabriel Boudier Saffron Gin ? Gabriel Boudier Saffron Gin Supermarkets & Stockists. You can buy Gabriel Boudier Saffron Gin online in most retailers and find it in the Craft Gin aisle in supermarkets but we found the best deals online for Gabriel Boudier Saffron Gin in 31dover.com, DrinkSupermarket.com, TheDrinkShop, and others. Compare the current price of Gabriel Boudier Saffron Gin in 70cl size in the table of offers below. Simply click on the button to order Gabriel Boudier Saffron Gin online now.